Happy Friday! The weekend is here! 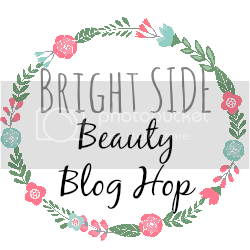 Come and add your blog link to my weekly Bright Side Beauty Blog Hop for a chance to network with other amazing bloggers, gain new followers, and find amazing new reads. Yeah! I love the beauty blog hops. I think I'm addicted to finding new blogs to follow! I was looking around trying to find the co-host and couldn't, then I finally noticed there wasn't one this week. I would lo help you co-host sometime. I see that adding new links is closed now but I will still check out the others. I'd love to be a part of your next hop! I have just got my blog up and running recently and I'm really hoping to get my name out there. Www.everythingtiana.blogspot.com I'm quite new and no followers... I will follow ones who follow me! I clicked on the links and found so many that share my interests! Thank you! Hiya, I've just started a new blog about lifestyle and beauty and to be very honest...slightly struggling. Your blog looks absolutely amazing, would be really awesome if we could get in contact so you could give me some tips? 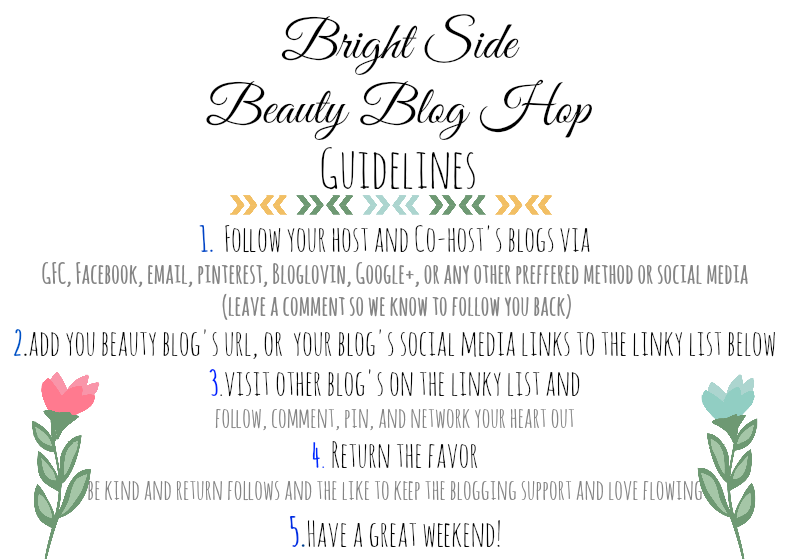 Could you also follow my blog? Thanks!